It was July 1994 and I had flown into Las Vegas with a journalist to trail the Verve for a week while they played the Lollapalooza festival. I was naive and gung-ho, excited to be in America and going on a road trip. We checked in to our hotel, met up with the band and went for dinner. I was in my mid-20s and starting to just about earn a living from photography, but none of the cheques had come through yet. So I barely had enough money for food. 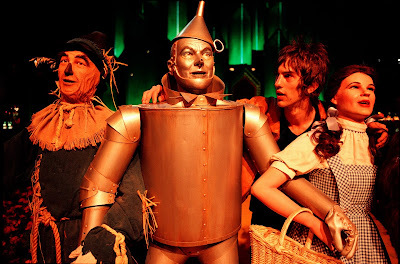 We walked around the Strip and ended up in the casino of the MGM Grand hotel, a tacky, gilded palace with a massive reproduction of the Land of Oz in the foyer. 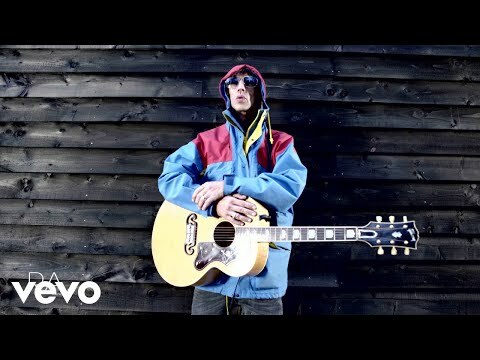 Richard Ashcroft, the Verve frontman, is looking quite camp in this image. The thing about him, I realised later, is that he has two sides: the public Richard is serious, intense, extremely self-confident; and the private Richard is very funny and a brilliant mimic. When he tells a story, he’ll do all the voices. I always thought he’d make a good actor. He’s not afraid to ham things up. I’m from the south, the home counties, and it was the first time I’d really been around northerners. I was fascinated by the band’s sense of style: cords, loads of brown, but still modern. Old-man clothes with a twist. And great haircuts. They introduced me to lots of good music too: Funkadelic, Parliament, 1970s American soul, the Stooges. They looked so alien. But then they started playing – one of their early songs, Gravity Grave. It starts with just a bassline, a lolloping groove that perfectly suited the landscape and the weather. I was blown away. Whenever I hear that song now, it makes me think of the heat that day. In those sort of situations, I’m looking for the relationship dynamics: how the people interact, how their body language might convey all this in a single image. And I’m also looking for anything funny or interesting that can can lift an image out of the ordinary. That’s what happened that day with the Verve. I managed to keep the mundane away. Born: Welwyn Garden City, 1968. Influences: Richard Avedon, Irving Penn, Tina Barney, Larry Sultan, Lee Friedlander, Saul Leiter, Robert Freeman.